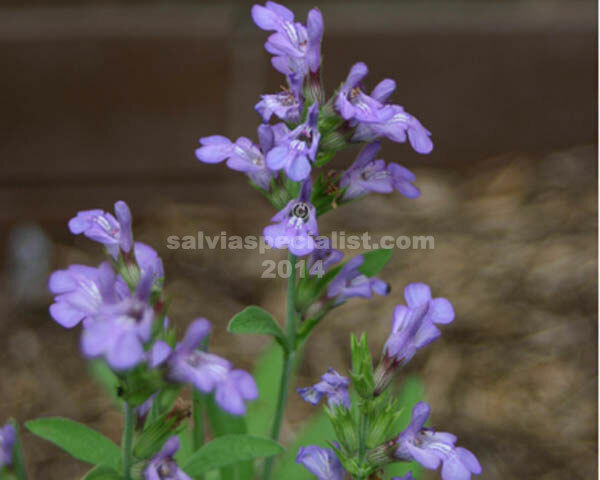 Unlike lavanduloides this salvia can be found in reference books as it has been known in Spain for quite a long time. Lavandulifolia is one of those whose foliage looks like the herb sage (salvia officinalis) with mauve flowers but on a smaller scale. Lavandulifolia only grows around 40cm high. Wendy Smith had a variation appear which could be a longer flowering plant. All these grey sages don’t like heat and moisture together and insist on well drained soils. Lavandulifolia begins to flower early in October. I would like you to email and ask before ordering so I can check their size so I have taken it off the available list for the time being.